The Chapterverse continues! 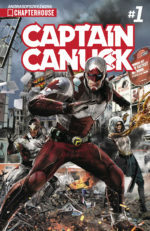 Captain Canuck returns with a brand new first issue! Tom Evans has walked away from Equilibrium, his brother Michael, and the mantle of Captain Canuck, choosing to return instead to a simple life on the reservation near Flin Flon where he grew up. What a terrible time for an extraterrestrial incursion! 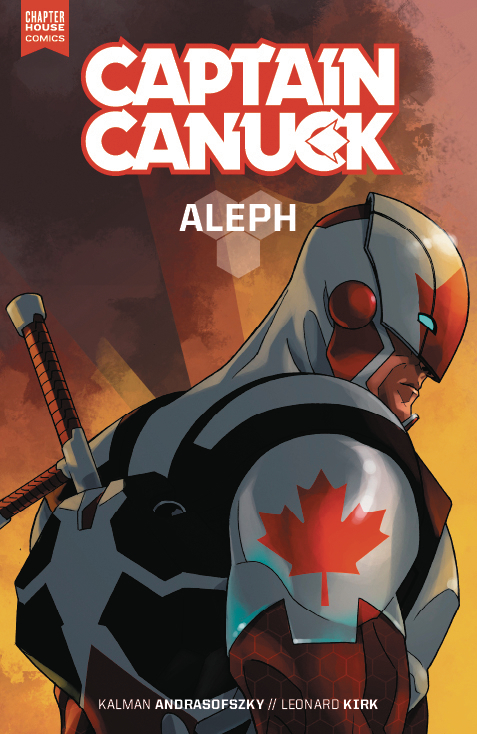 Born of the true north and tested in war, Captain Canuck is thrust into battle at the head of the global crisis intervention agency Equilibrium. He must find his way as a warrior, leader and ultimately hero to save humanity from the machinations of Mr. Gold and Blue Fox, and the even more menacing forces that watch in the shadows. 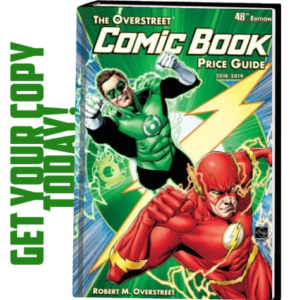 Collects issues #1-6 and features a full variant cover gallery by Cary Nord, Fiona Staples, Marcus To, John Gallagher, Cameron Stewart, and Leonard Kirk. 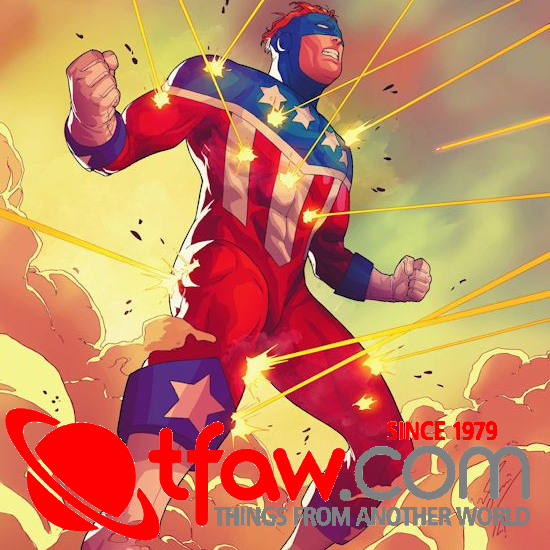 New regular artist Leonard Kirk (Fantastic 4, X-Factor, JSA) joins the team! 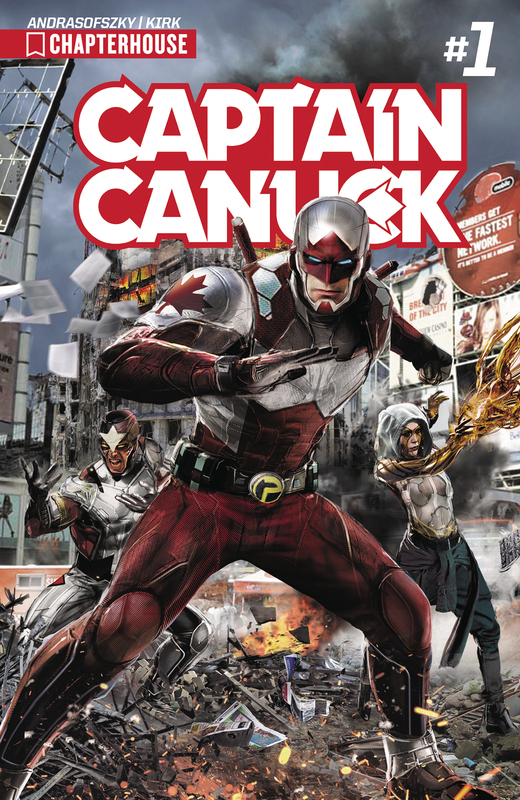 Captain Canuck’s brother, Michael Evans has vanished. It’s up to Canuck and Equilibrium to mount a rescue op and find him. All the clues point to the mysterious Site ALEPH! 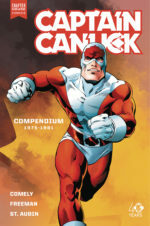 Plus: Classic Canuck faces an all-new threat in a back-up story by Ed Brisson and Scott Hepburn! 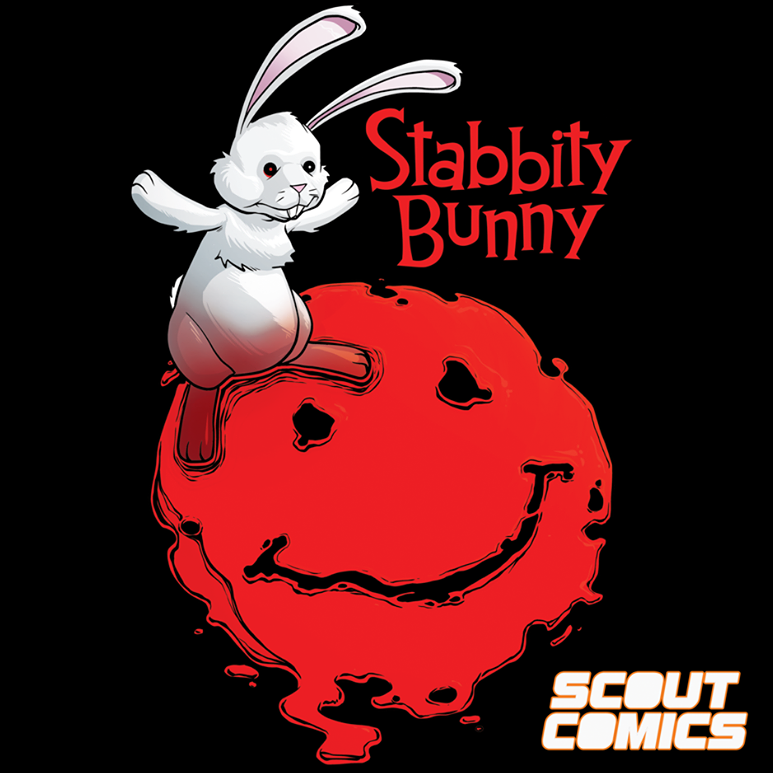 The hit series is back! Kitty Ravencraft, the beautiful magical witch and star of her own comic book, re-turns! This time Kitty is on top of the World! 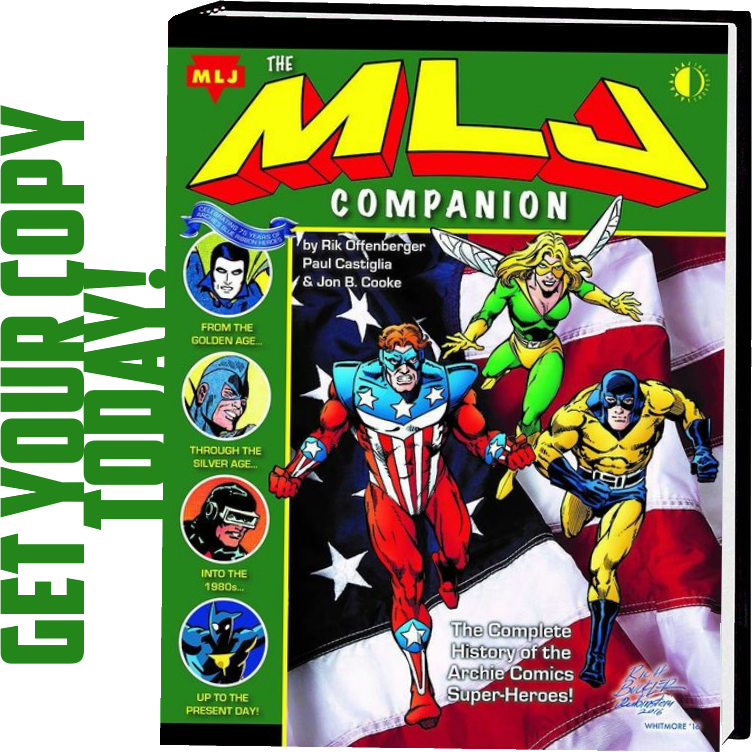 Her new comic book series is a huge success and she’s once again the talk of the comic shops! Naturally, Kitty’s publisher wants to capitalize on her new-found popularity with a big budget blockbuster Kitty movie! To make this happen, Kitty goes off to Hollywood, but once again she finds herself in danger! 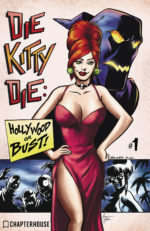 Die Kitty Die: Hollywood or Bust will be Kitty’s biggest… scariest… and funniest adventure yet! The Chapterverse continues, with this brand new series! 24-year old Paz Gallegos has been holding her family together for years. 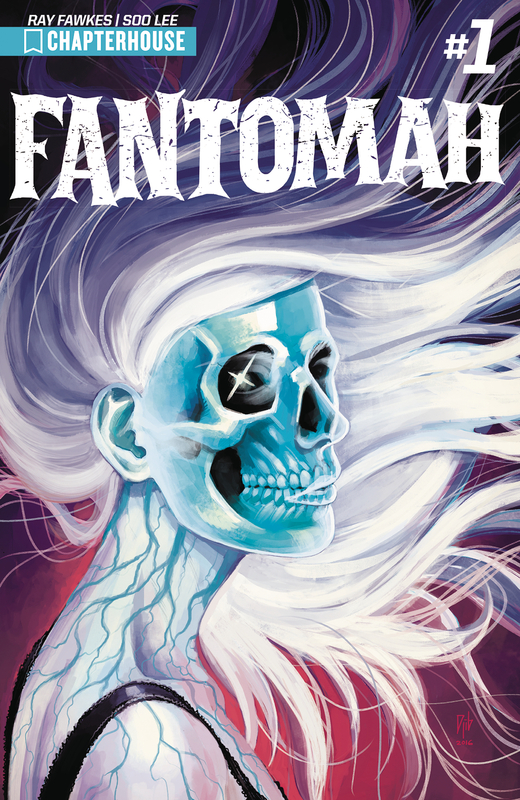 But when her two sisters go missing and her life begins to unravel, Paz finds herself thrown into a world of gangs, guns… and ghosts. Because something spectral is lurking just below the surface of Paz’s nightmares. Something not afraid to leave a trail of bodies in its wake. 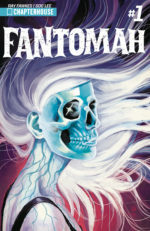 Fantomah’s story begins here, in a pulse-pounding first issue brought to you by Ray Fawkes and Soo Lee. Dren is just an average kid, living an everyday life in his run of the mill hometown. That is until his telepathic powers manifest and he is thrust headfirst into the mid-dle of a diplomatic conflict between Humans and the alien Zengati. 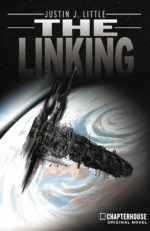 Dren must use his newfound powers to uncover the truth or he risks both sides entering a war that will see no clear victor. 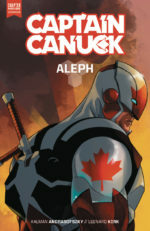 Following the events of Captain Canuck #1, an alien attack leaves the heart of downtown Toronto in ruins and our hero with very little of his regenerative powers! 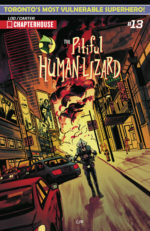 A very shaken Human-Lizard must travel home safely via streetcar against hostile passengers that want to take advantage of his vulnerable state. Luckily for the Human-Lizard, Mother Wonder’s husband Sam is there to protect him!